It is said that once you convert to a Devon Rex you will never go back. This unique looking breed love nothing more than vocalising to get your attention and will constantly have you on your toes trying to keep up with them. 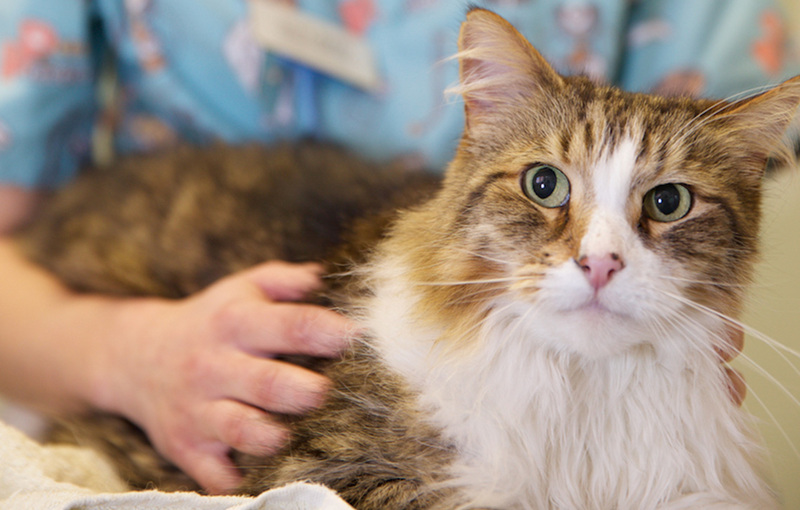 Temperament: Vocal, loyal and outgoing. 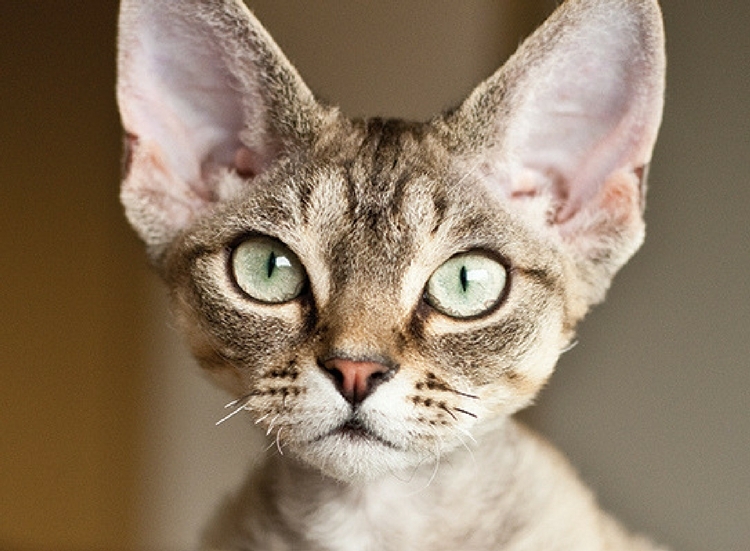 Known for their distinctive bat-like ears and wide eyes, the Devon Rex has a very cheeky look. They have long slender figures and thin tails, their usual fur is soft and wavy with a wool-like texture. 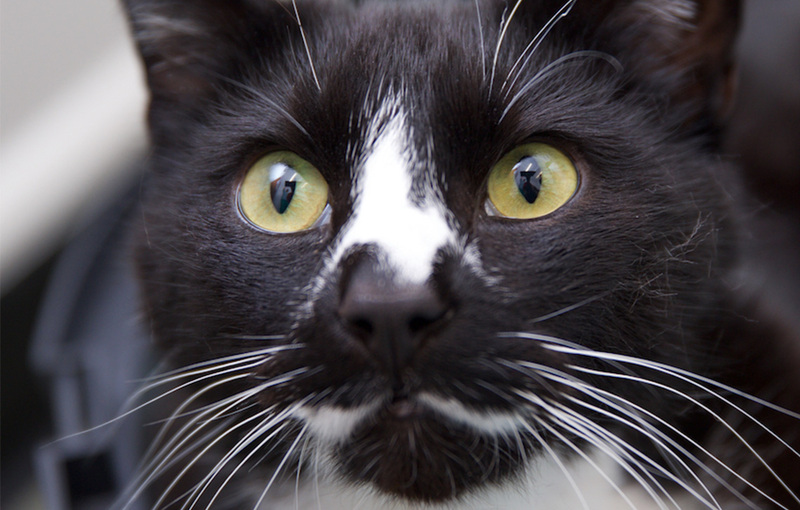 They also have unusual whiskers that are seen more like stubble as they rarely grow move than an inch. The most popular colour of Devon Rex is the original ‘black smoke’ however they are also available in tortoiseshell and tabby. Unsurprisingly the Devon Rex was first born in Devon, due to a natural mutation in 1959, where a strange black, curly-coated kitten, named Kirlee, was born in a litter of moggies thought to be fathered by a large black cat with ringlets. 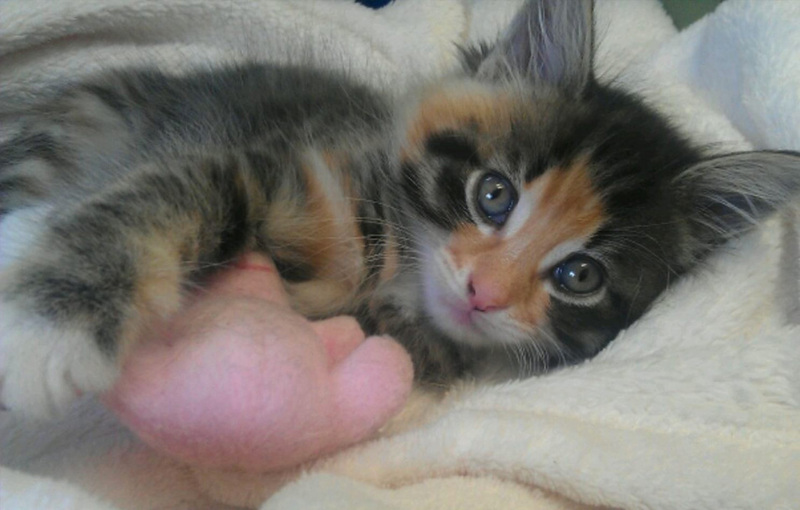 This kitten was then bred to two Cornish Rex variant queens (as a result all Devon Rex have Cornish Rex ancestors), which produced normal shorthair and semi-longhair kittens, yet no curly kittens were produced. 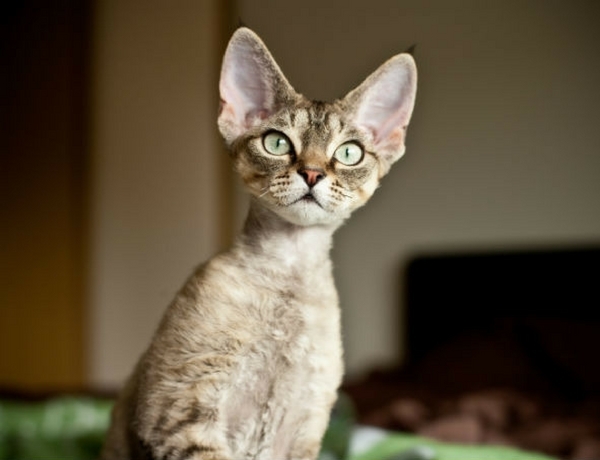 This led the breeder to believe that the Cornish and Devon Rex have two different curly hair genes and with a careful breeding programme, Kirlee became the founding Devon Rex. 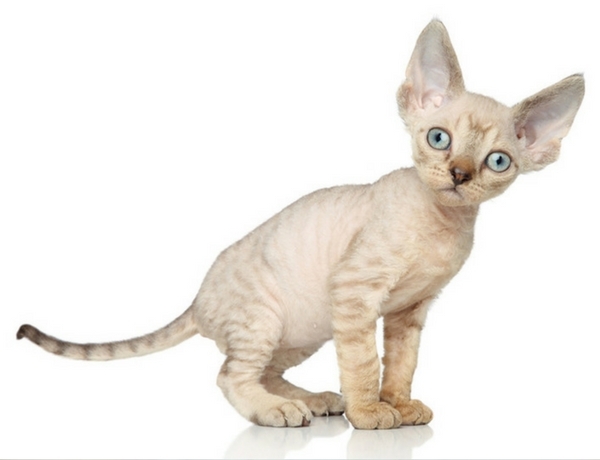 Often described as hypoallergenic due to the short coat, the Devon Rex is actually not a hypoallergenic cat. That being said, they do not shed as much as many other breeds, which means they may spread fewer allergens around your home.